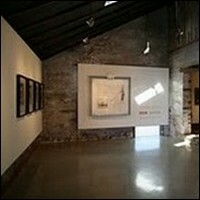 Whitespace Gallery is a modern gallery situated within the confines of an historic 1893 carriage house in Atlanta. Owner/director Susan Bridges represents an eclectic mix of original contemporary art, sculpture and photography by local and national artists. Artworks range from figurative to abstract, conceptual to cinematic. Representing both emerging and mid-career artists, Bridges has created an extraordinary gallery environment in which to encourage open expression and to promote original, unconventional projects. Parking: Street parking is available around the gallery. MARTA: Take the Blue line to the Inman Park/Reynoldstown Station. Out of the station walk northwest toward Hurt Street and make a right. Turn left at Edgewood Avenue to arrive at Whitespace Gallery. It is about a 10-minute walk.